The Kia PICANTO is a City car featuring an front-engine, front-wheel-drive layout. It was launched in 2004 and is currently on its third generation. 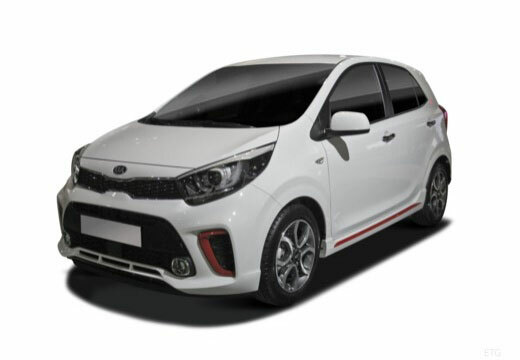 Over all three generations, the Kia Picanto has won multiple awards including Top Gear ‘Bargain Car of the Year’ in 2011 and being named What Car? ‘Best City Car’ in 2018. Good Found them cheaper locally since purchase. So would shop local first next time I need tyres! Few miles covered as yet but tyres inspire confidence and keep car glued to the road. Obviously in a Picanto 1.0 car is used as daily run around and not for spirited driving. But still pleased with my purchase. Very pleased with the performance so far, car feels much better to drive, great grip in the wet and on ice, yet to try them in snow but these tyres are good i feel alot more confident when driving especially in bad weather conditions.